In 1993, an audacious husband-and wife team of Norwegian bureaucrats assembled a motley band of would-be diplomats from the Middle East to attempt the unimaginable: negotiate peace between Israelis and Palestinians. There will be a post-show talkback for our group. Come Be a Book Whisperer! Volunteers needed to help children select books at Temple Sinai sponsored summer book fairs. Help children at Browne Education Campus in DC or Highland Elementary School in Montgomery County become readers! Guide children in finding the books they will want to read over the summer. Help out for an hour or two or the whole day. No experience needed. Will train on site. (But wear comfortable shoes!) Contact Debby Litt (301 652-8562) to volunteer or for additional information. 6 PM: Community 2nd Seder sponsored by TSWRJ. Learn more and RSVP. Rabbi Adam Rosenwasser and Cantor Laura Croen will lead the Seder Service with festive songs and catered dinner. All ages welcome. Learn more and RSVP. Contact Celia Josephs (202-997 0381) with any questions. If you would be interested in joining another Temple Sinai family at their home for a Passover Seder on the first night of Passover, Friday, April 19, please contact Karen Auerbach or call the temple office at (202) 363-6394. If you need transportation to and from the temple for the Community 2nd Seder on April 20, let us know a week ahead of time. Brighten your holiday table with some new recipes or variations on the classics. The library display features holiday cookbooks, as well as holiday-themed fiction and non-fiction for adults and kids. Hosting more people than you have haggadot? Interested in trying a new haggadah this year? 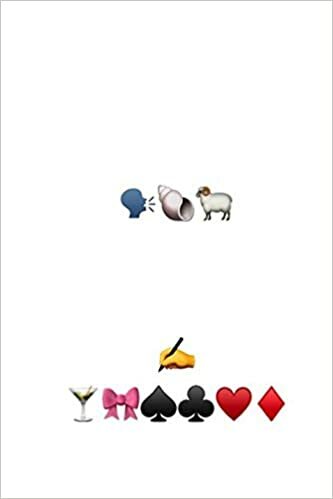 Want to test your ability to decipher The Emoji Haggadah? Or perhaps you'd like to add some new readings to your Seder. The Library has multiple copies of haggadot available for borrowing. Sign them out on the book cart by the Library entrance. If the above times do not meet your needs - please contact Meg Seldin ( 301-332-9490) to arrange an appointment. Temple Sinai Is Adding to Its Philanthropy Team! As we continue to move forward with the campaign and the Temple's philanthropic goals, we have added a new role to the team, a Campaign and Relationships Manager. This position will focus on keeping the campaign going strong, as well as maintaining relationships within the congregation to ensure there is strong support for the temple. If you or anyone you know might be interested, please click here. We are working with KEES to help find a great candidate for this role. For any questions, please contact Sue Bultman, Senior Consultant, KEES. Interested in volunteering as a mentor? A friendly, polite smart, young man, who will be starting high school next year, would like a mentor. He has high-functioning autism, and relates well to others. He likes to swim, play chess and video games. Send an e-mail to sinaihouse@gmail.com to learn more. Join a team or create a new one to walk or run with friends or your class! TSWRJ Mah Jongg Event. Learn more. Erev Yom HaShoah (Holocaust Remembrance) Service with guest speaker Prof. Amos Goldberg on Antisemitism and the Holocaust. Learn more. 6:00 PM: Tot Shabbat Service & Participatory Dinner. 1st Time B'nei Mitzvah Parent Gathering. Learn more. Shards: Cantor Evan Kent's one-man musical show. Learn more. Mazo Education Series: Anti-Semitism-The Unending Menace. Register.